This precious amulet is prepared and blessed at the Maratika Monastery in East Nepal. 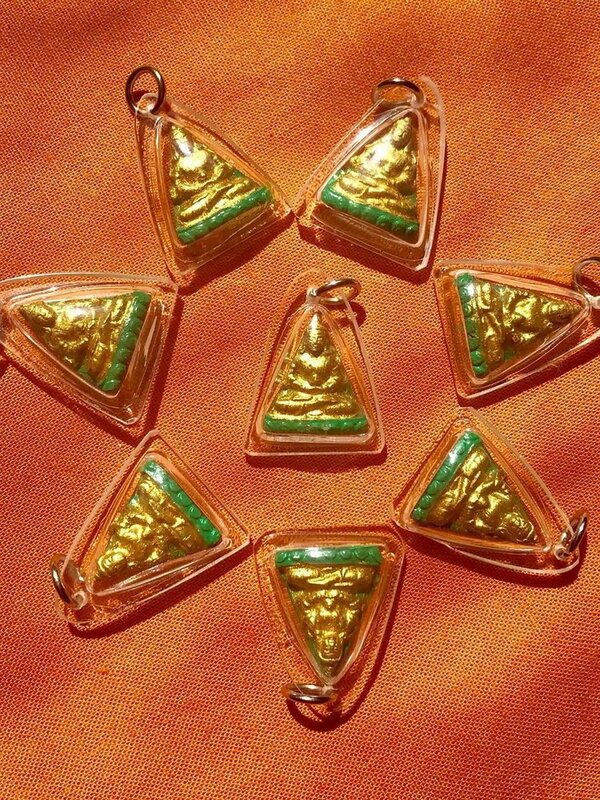 The amulet of Amitayus, the great Buddha of long life. 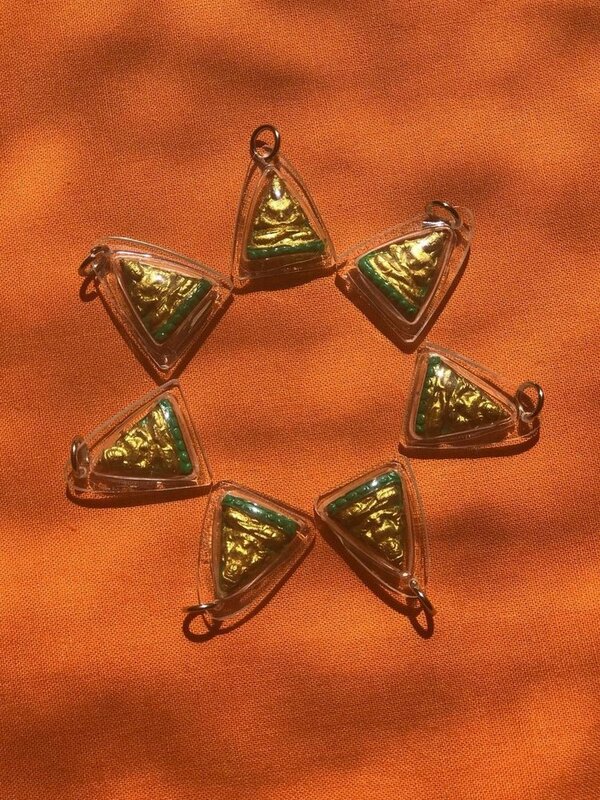 This precious amulet is prepared and blessed at the Maratika Monastery in East Nepal. 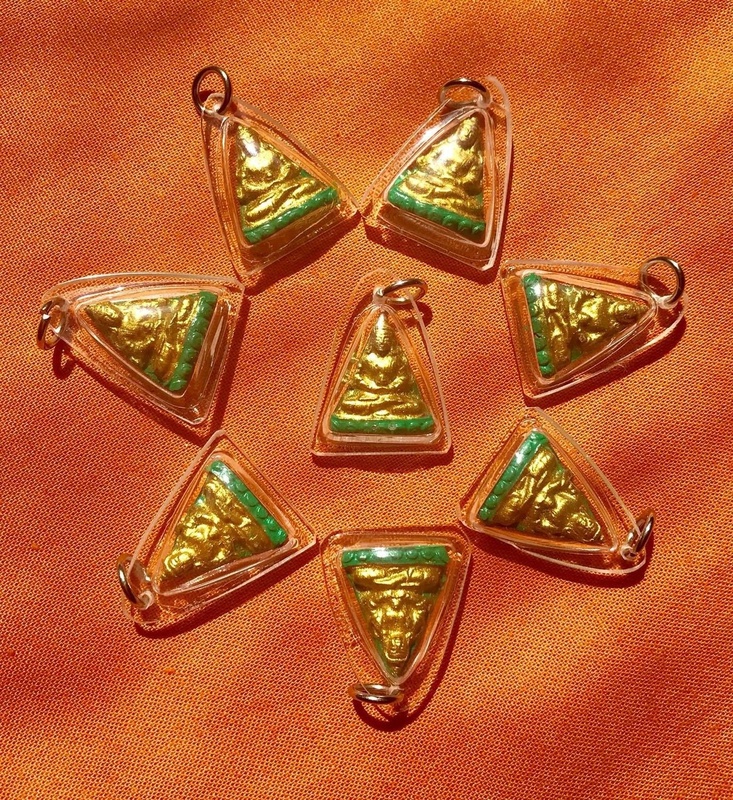 The amulet of Amitayus, the great Buddha of long life, will bring blessings of liberation for those who wear it. In this depiction Amitayus holds a long life vase in his lap. 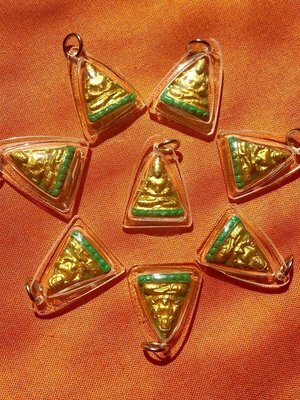 The amulets are made from the sacred earth, nectars and blessed substance of the rocky cave of Maratika. A powerful blessing, the amulet can be worn, placed on your altar and used for general protection.